Final Version 2013 – Validated by ASHC. 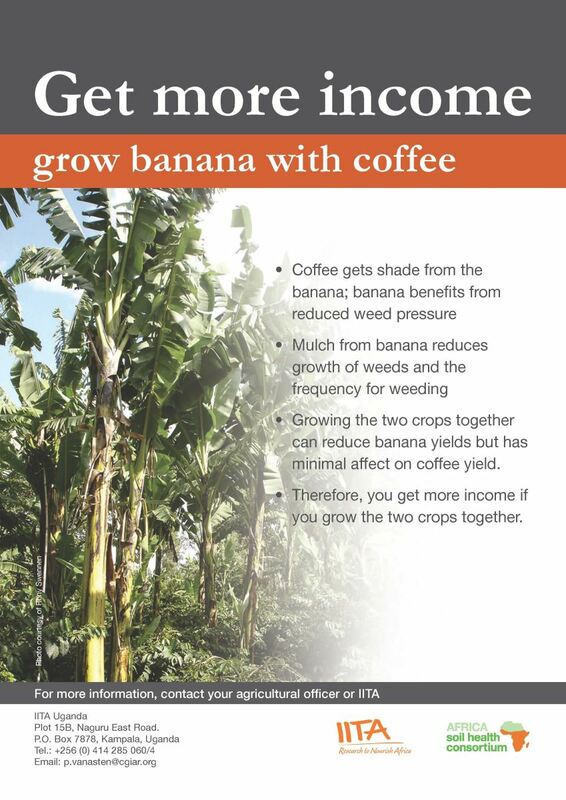 Get more income growing bananas and Arabica coffee poster. A 121-page field guide that provides details of coffee banana cropping methods focusing on good agricultural practices that promote integrated soil fertility management. Shamba Shape-Up – growing bananas. Popular television programme produced by Mediae with support from ASHC.